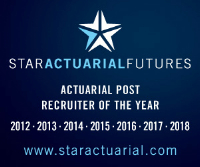 Major insurer has a fantastic opportunity for a qualified GI actuary to take up this leadership position, ensuring that the firm adheres to all relevant home and host-state regulation and compliance requirements. In conjunction with the underwriting deptartment, you will ensure that underwriting and policy wordings for all products are in line with best practice. In addition, you will lead on the effective and efficient management of existing and new distribution relationships across all departments. Excellent knowledge of insurance regulation and compliance is essential, as is excellent knowledge of personal lines underwriting & distribution. You will also bring with you a wealth of experience and knowledge of insurance and reinsurance and a strong desire & experience to mentor and coach teams to continuously improve. Contact us now for more information of this integral and highly visible role within a market-leading insurer.